Inspired by the motivating principles of women education and women development as lived and preached by the great saintly lady Behan Devki Devi Ji, this college was established in the year 1971 by the Management of S.S. Jain Girls School Committee (Regd.). Behan Devki Devi Ji was an eminent educationist of her times. She was the founder principal of Jain Girls Senior Secondary School, Ludhiana, who always cherished the dream of providing higher education to the children of this backward industrial Area of Ludhiana irrespective of class, caste, religion or language. The dream envisaged nearly fifty years ago is now a reality a vibrant, ever growing institution with a goal of spreading education among masses. All this is happening under the able administration of dynamic and progressive members of the Managing Committee of the college. At present, about more than 1500 students are receiving education in this temple of learning, shaping their future. They are indeed privileged to be under the constant care and guidance of a learned and enthusiastic Principal, dedicated teachers and parents who are united in providing them all they need to grow as full-fledged members of society. Behan Devki Devi Jain, after whom the Devki Devi Jain Memorial College for Women has been named, was one of the most eminent educationists of her time. She was the founder Principal Jain Girls Senior Secondary School, Rupa Mistri Street, Ludhiana for about 35 years. She took up the reins of this premier institution of women's education in her hands. Started in 1918 with just 5 girls students, the school grew steadily under her tender motherly care and is due course of time became one of the leading girls institutions of the State. She was a divine and noble lady who, by her deeds, immortalized not only herself but also the family into which she was born. Behan Ji passed away on 8th April 1962, but her name will live forever. The local Jain Samaj, particularly S. S. Jain Girls' School Committee (Regd. ), has set up a chain of Educational institutions as a mark of respect to her memory. 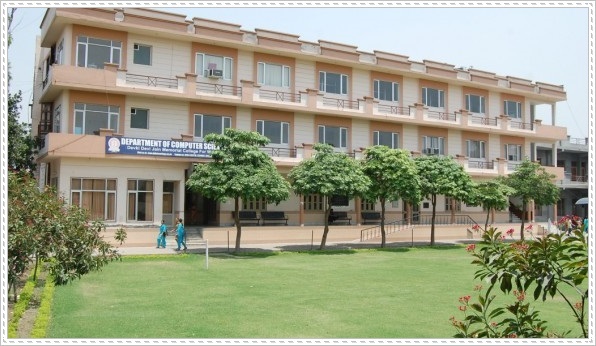 Devki Devi Jain College for Women and D. D. Jain College of Education owe their birth to that laudable step. Enshrined in these institutions is the sacred memory of Bal Bracamcharini Devki Devi Jain, the like of whom is born only once in a millennium.